Who knew those LEGO hot air balloon panels would make perfectly floppy pupper ears? Well as you can see, builder LEGO 7 knew. 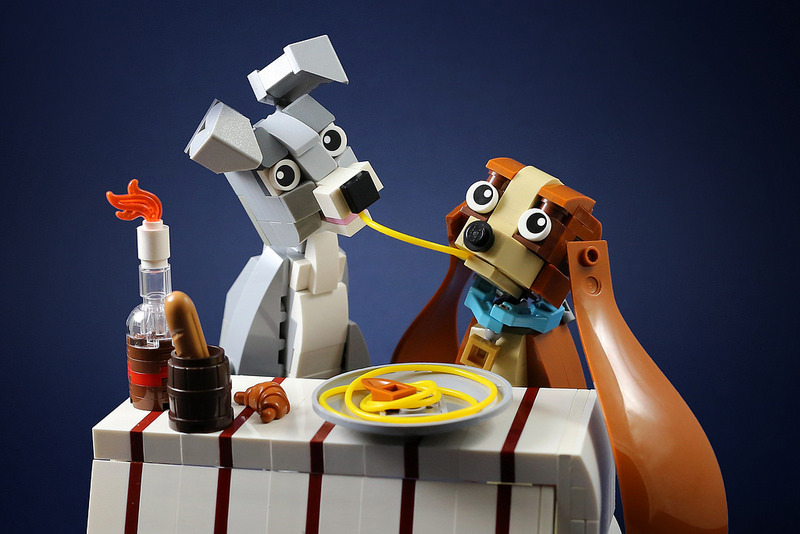 In fact, their spot-on take of the iconic spaghetti scene from Disney’s Lady and the Tramp is packed full of tremendous NPU (Nice Parts Usage) which gives these two pups a cuddly, soft appearance. The only thing missing from this creation is moonlight and accordion music. I love this one. Such a good use of very few pieces.